Superannuation death benefits are payments made by the trustee of a superannuation fund following a member’s death. They include all sums held by the trustee as a consequence of the passing of the member: this includes accumulated contributions, investment earnings – and the proceeds of any life insurance policy entitlements. Even amongst the young superannuation members, the death benefit can be relatively substantial where life insurance is involved. Superannuation death benefits have the benefit of being concessionally taxed when paid to eligible beneficiaries. three months from the grant of probate. How are superannuation death benefits treated for tax purposes? the nature of the payment (i.e., lump sum; or pension). A lump sum payment made to a tax dependant is tax-free. Benefits paid to non-tax dependants are subject to lump sum tax when they receive them. A tax dependant for these purposes is defined as a spouse or de facto spouse, an ex spouse, children under 18 years, or any other person who is financially dependent on the person at the time of death, or a person who had an interdependency relationship with the deceased. One or each of them provides the other with “domestic support” and “personal care”. Furthermore, the “interdependency relationship” definition can also be satisfied if the two persons have a “close personal relationship” and the only reason they don’t satisfy the remaining conditions above is because either or both of them suffer from a physical, intellectual or psychiatric disability. Under the new superannuation laws, all lump sum death benefit payments are tax free if paid to a tax dependant. Non-tax dependants will only be able to receive death benefit payments as a lump sum, with the taxable component taxed 15 per cent (if from a taxed fund) or 30 per cent (from an untaxed fund). The tax free component of a death benefit is always tax free. Reversionary pensions will only be available to tax dependants. If the primary beneficiary was aged 60 or over at the time of death, then payments to the reversionary beneficiary would be exempt from tax. 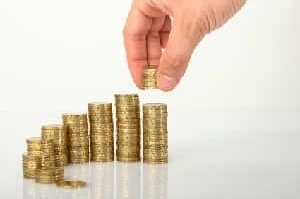 If the primary beneficiary was under age 60 at the time of death, the reversionary pension would be taxed at the reversionary beneficiary’s marginal tax rate (less any deductible amount and pension rebate) unless the reversionary beneficiary is age 60 or over, in which case it would be tax exempt. Death benefits will be able to be paid as a pension to a dependant child under 25 (over 25 if permanently disabled), although when the child turns 25, the balance of the account must be paid as a lump sum (tax free). Aged 60 and above Income stream Any age Taxed element is tax free. Untaxed element is assessed at marginal rates however you receive a 10 per cent tax offset. Below age 60 Taxed element is tax free. Taxed element is subject to marginal tax rates and you receive a 15 per cent tax offset. Untaxed element is assessed at marginal tax rates. Any age Lump sum Any age Tax element is subject to 15 per cent. Untaxed element is subject to 30 per cent tax. Aged 60 and above Income stream Any age Non-tax dependants cannot receive a death benefit income stream. Your wealth creation strategy is an important duty you owe to yourself to maximise every opportunity and situation: even in death, there are opportunities to ensure that your dependants will inherit the maximum amount of what is in your estate. Whilst this leads to the important topic of Estate Planning, your proper consideration of how your superannuation death benefits will be disbursed will be a significant step in the right direction. To arrange an appointment with one of our experienced financial advisers, call Continuum Financial Planners Pty Ltd on 07-34213456; or use the contact us form on this website and be assured of prompt and courteous service.